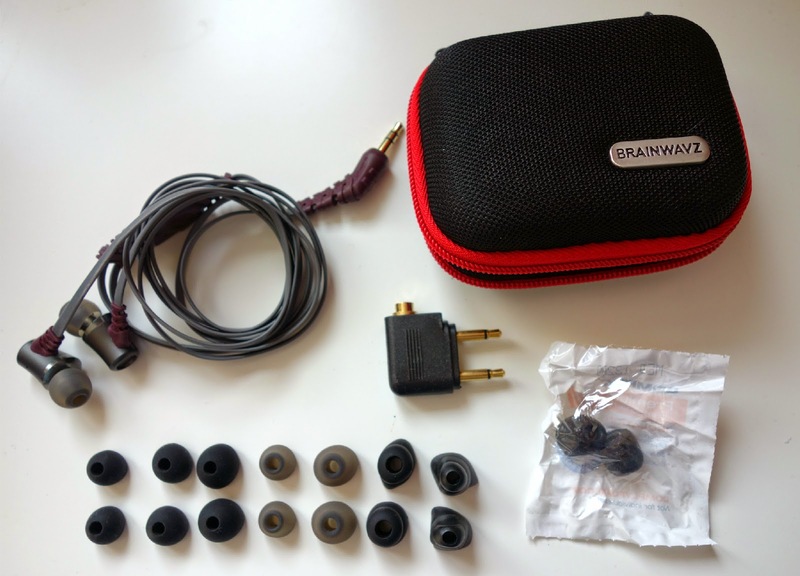 A couple of weeks ago, Brainwavz* kindly sent me a pair of their in-ear monitors to review. I've owned a good range of earphones/headphones over the past couple of years, varying from Urbanears to Wesc products, so I was really excited to test out this product. 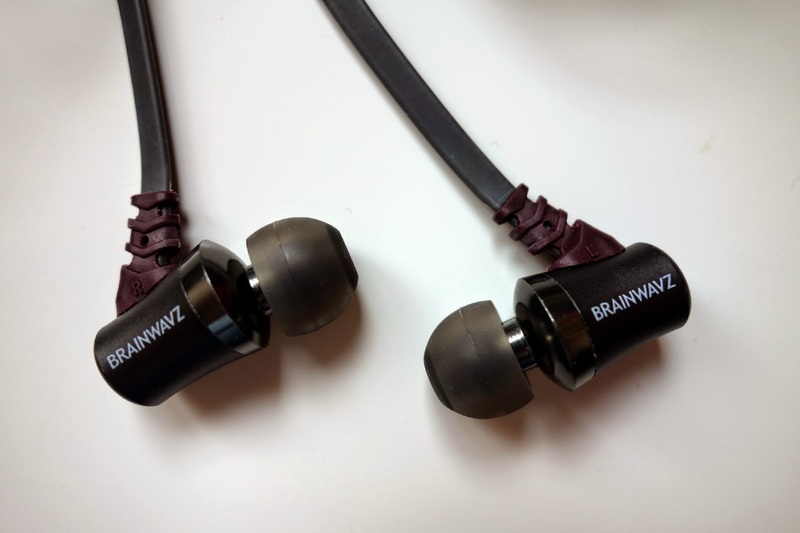 "The Brainwavz S1 use dynamic driver speakers housed in an all-metal shell which have been tuned for a powerful bass, sweet vocals and accurate sound reproduction. 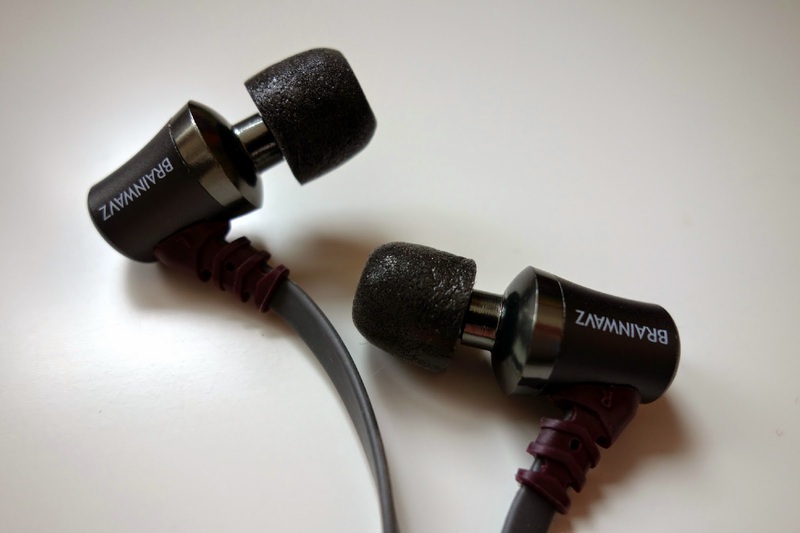 The S1 use a flat cable and are worn over the ear for good sound isolation. 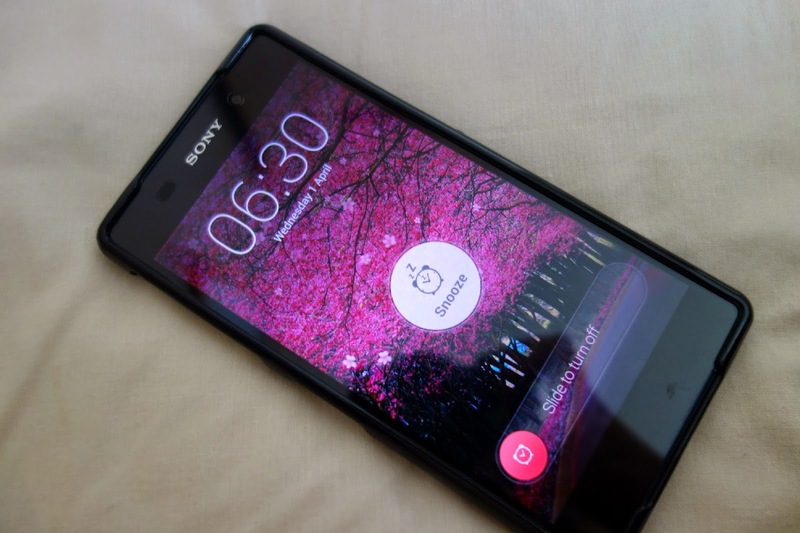 No matter what style of music you listen to, the S1 are suitable for any genre of music." I was initially very impressed with the packaging. The Brainwavz box flaps open at the front to show you the earphones alongside an accompanying carry case. I haven't heard of Brainwavs before, but it's definitely a product I could see tie in with big headphone brands in stores like HMV in the future. 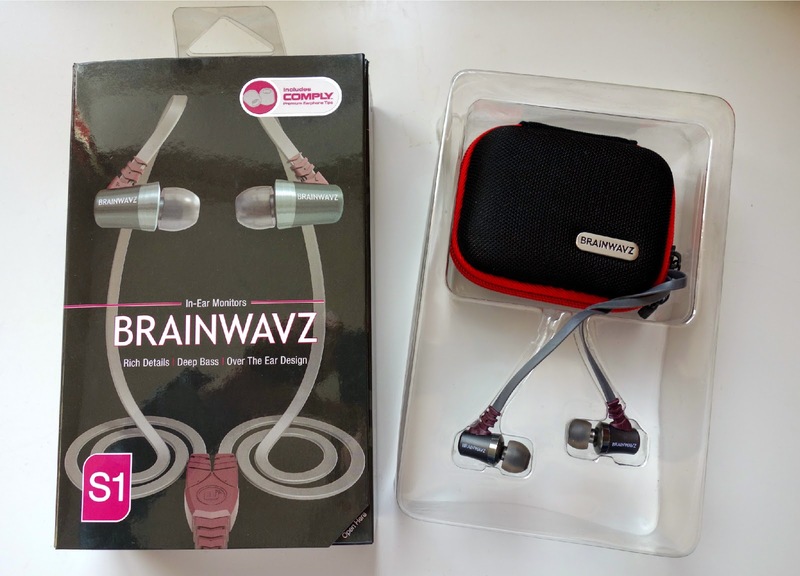 I was sent the Brainwavz S1 model to review. The product appearance, overall, is very modern and appears to be well manufactured. The earphones are grey with purple detailing around the cord. Although the product colours are fairly attractive, I would have opted for a plain black/grey set of earphones for everyday use as I find the colours a bit restricting to tie in with certain outfits. The earphones are very comfortable to wear, but I did find they hurt my ears after a few hours of constant use. However, this was easily amended by changing the ear tip to a smaller head. I also found they stuck out a little bit, but I find this a common feature for most in-ear earphone sets. A hard carry case, airplane adapter, instruction manual and NINE(!) 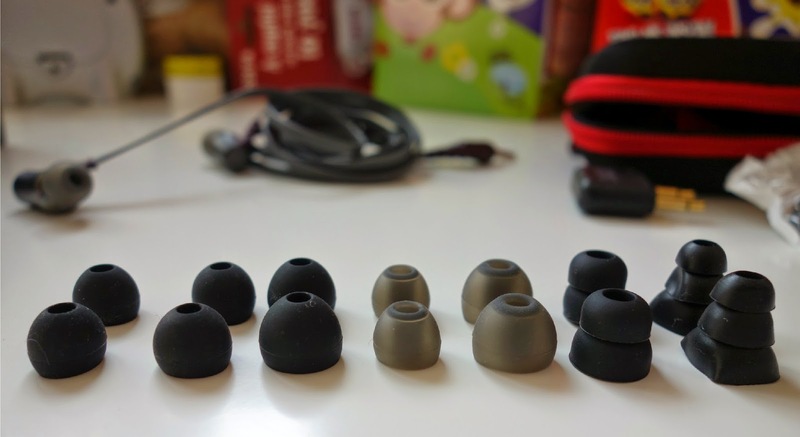 sets of ear tips were included along with the earphones. I thought including the hard carry case was a very clever idea, because I'm always leaving my earphones at the bottom of my handbag where they get all dirty and broken, so hopefully this pair will last me a long time (scratch-free!) stored in the carry case. Some of the ear tips include silicone bi-flange and tri-flange ear tips. I found these two sets to be a little uncomfortable to wear as my ears are very small. I also found the sound quality wasn't as great with these tips too, as they were too big for me. My favourite tips to use were the smaller silicone sets. I found the smaller the tip, the more sound isolation I got when playing music. I found the sound quality to be really great when using the earphones, I trialled out both bass music pieces and softer pieces and the quality was fantastic for both! In separate packaging were a set of comply foam tips. I was a bit confused by these at first and didn't think memory foam ear tips would give the best quality. How wrong was I! Activated by body-heat, a flexible core and super-soft memory foam, the technology around these tips is simply amazing. 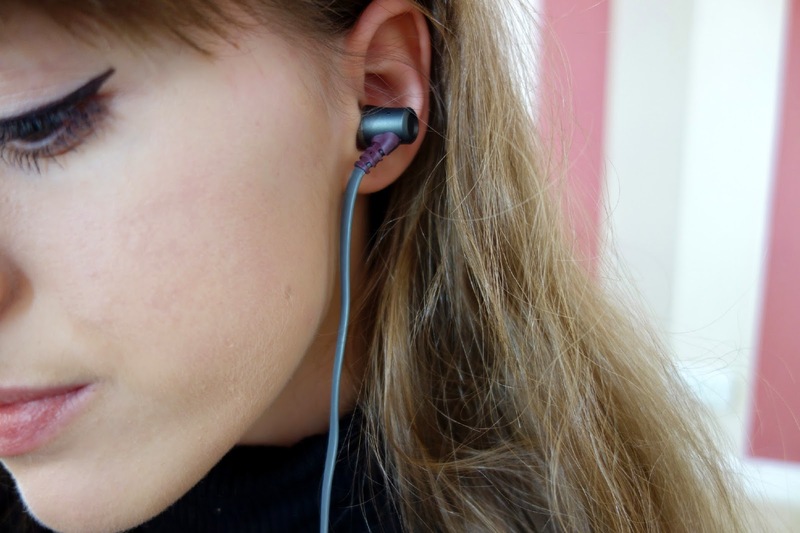 Although they were a little bit fiddly to fit onto the earphones, they provided the best sound quality when playing heavier/bassier music and I was really impressed with the results! Brainwavz S1 In-ear Noise Cancelling Earphones are currently on offer on Amazon now for only $54.50 (approx. £36). Perfect as a gift for a friend who loves music, or as a treat for yourself! I thought I'd do something a little bit different for this week's blog post. I like to title the genre of my blog in the beauty/lifestyle category and I've felt like my blog has been dominated by beauty and makeup posts, less of the lifestyle kind. I've also been obsessed with watching a 'day in the life' style vlogs on YouTube. Since I'm not a YouTuber, I thought I'd swap video footage for photographs and show you what I get up to on a typical day at University. When I have a 9am lecture, my day starts at 6:30am. After about 15 minutes of hitting the snooze button, I manage to get myself out of bed and prepare for the day by doing my makeup, getting dressed and having my breakfast before my bus arrives at 8am. As it's still stupidly cold outside in Scotland for the start of April, I like to layer my Spring wardrobe. 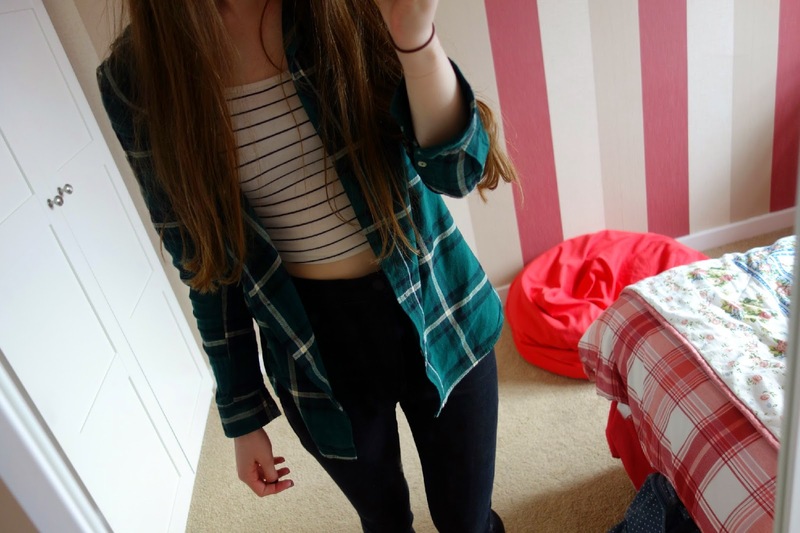 Today, I opted for a striped crop t-shirt (New Look) paired with a green plaid shirt (H&M) and my black Joni Jeans (Topshop). I also threw a grey speckled coat on top. My favourite winter boots have been my black ankle boots from H&M. They're incredibly comfy and I'm positive they'll last me a couple of winters! 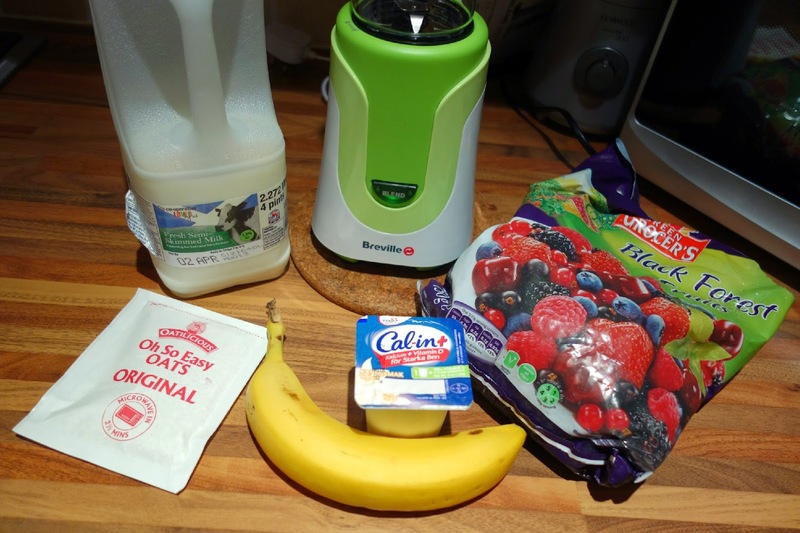 As I was short of time to sit down and eat my breakfast, I opted for a take-away smoothie instead. At the moment I've been loving a combination of milk, black forest fruits, vanilla yoghurt, banana and porridge oats in my 'breakfast smoothie'. 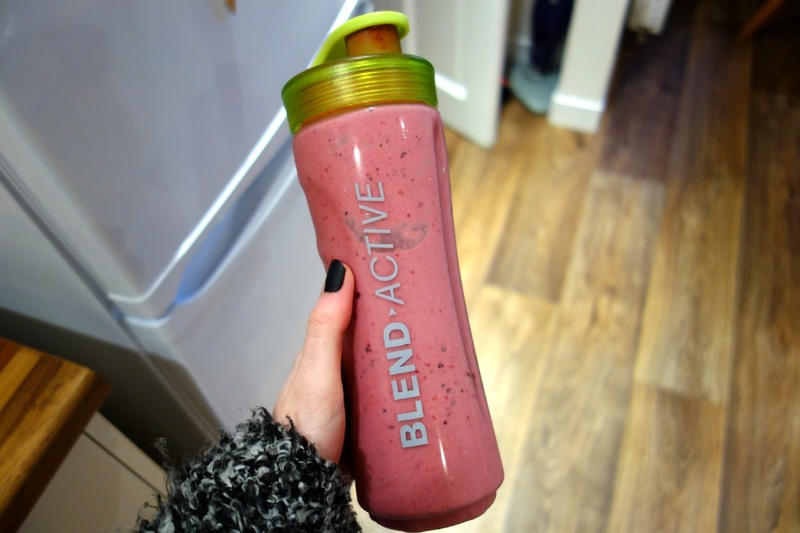 The smoothie does end up looking pretty thick once it's all blended together, but it's delicious and keeps me going for a couple of hours at University. I swap the lids on the bottle and I'm ready to go! 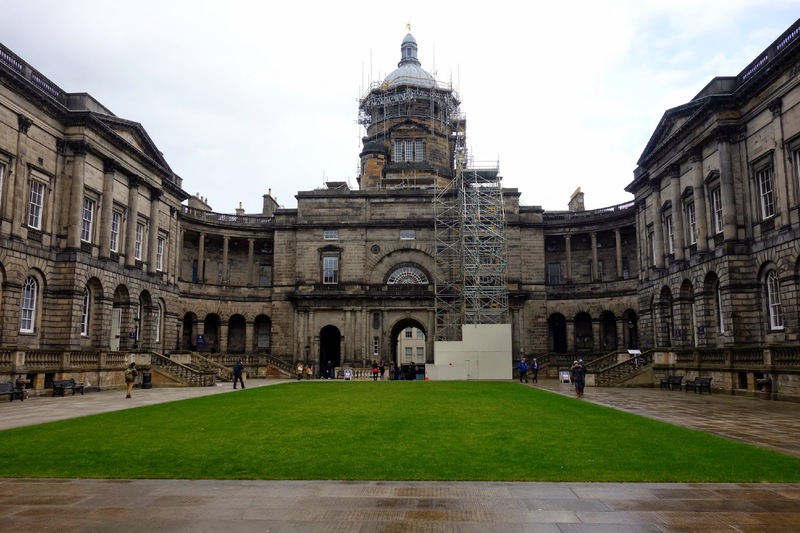 As I live a couple of miles outside the city centre of Edinburgh, I take the bus to and from University every day. 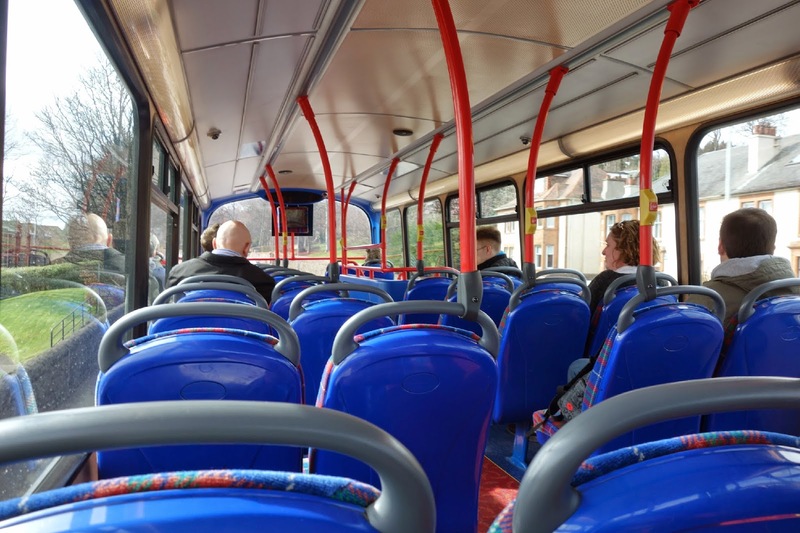 The journey takes approximately 40 minutes. On a Wednesday, I have scheduled a 9am Succession and Trusts lecture followed by a 11am Criminal & Evidence lecture and a 12pm Commercial Law lecture. As it is the last week of term before exam season starts, a lot of my lectures are revision lectures and some barely last the whole 50 minute duration! Today, we had an hour gap between our 9am and 11am lecture, so my friends and I decided to go for a hot chocolate in one of the cafés on campus. After University finished at 1pm, I had to pop by the law school to collect my summative assessment. I think the law school at my University is beautiful (hence why this photo only took one shot!) and I really miss having classes here as part of the building is currently being renovated. On my way home I decided to pop into the hairdresser to get my fringe trimmed. 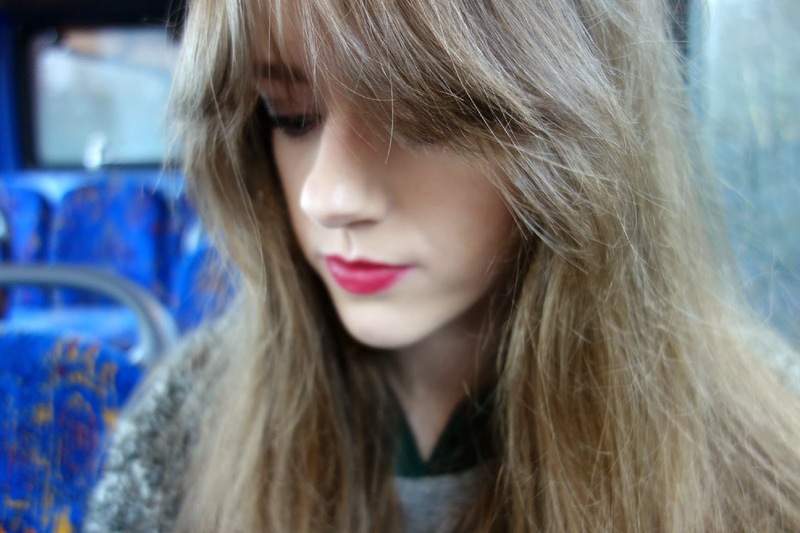 As you can see above, my full fringe was very out grown and I didn't really know what to do with it. I had it cut back into a full fringe which I'm now considering growing out again...typical! I got home at 4pm and started doing a bit of homework. 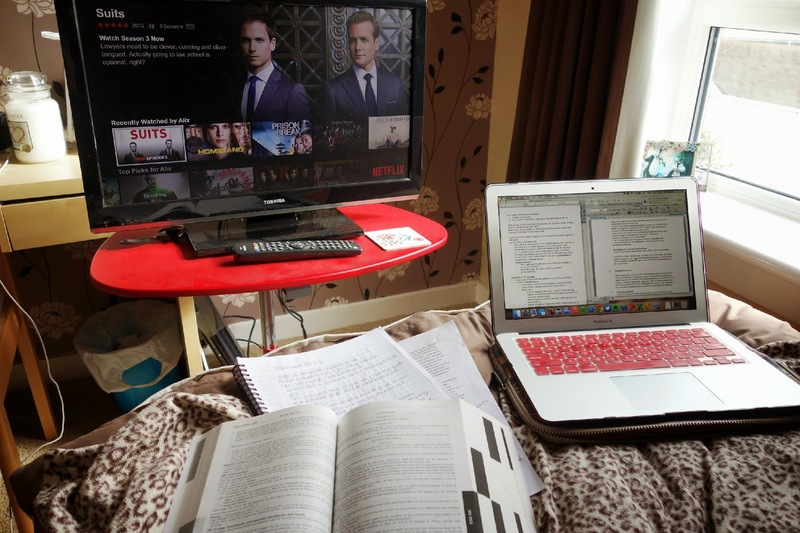 After dinner, I usually have a shower and get into my pyjamas, then do a couple hours of studying (alongside some Netflix watching) before bed time! I hope you enjoyed this style of post - let me know if you would like to see any more in the future/what kind of day you would like me to document next! 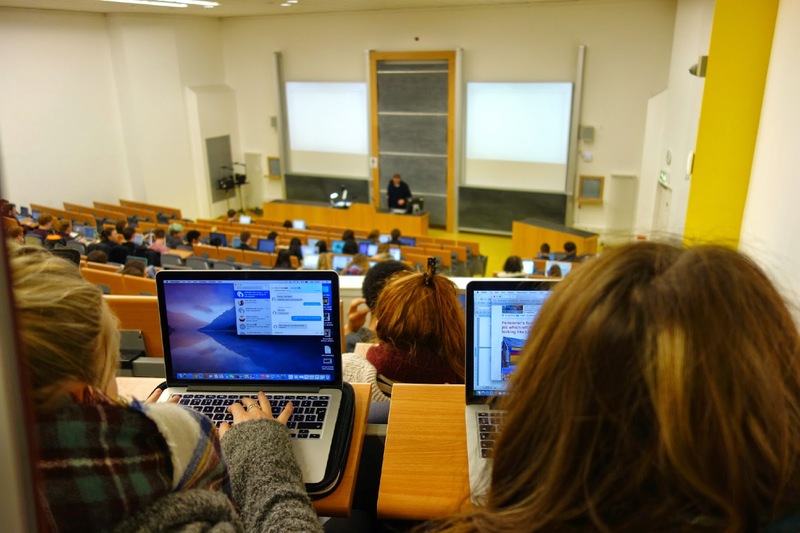 If you go to University, what do you study and what is your timetable like?